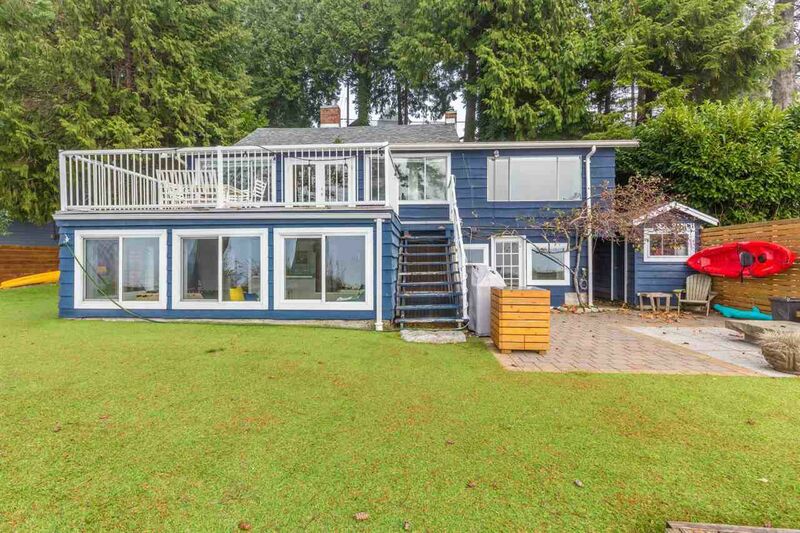 Hard to find Beach Avenue, low bank, Roberts Creek waterfront home. Chic beach cottage has been completely and tastefully renovated including wiring, plumbing, on demand hot water and so much more. New kitchen on the lower level making it perfect for friends and family to stay or a very cool place for the kids to hang out. Located directly on one of the finest beaches the Sunshine Coast has to offer with a historic swimming rock right out front! Dramatic Southern views of the Georgia Strait With year round sunsets. Large entertainment sized deck on the main level or take advantage of the lower level patio and yard where you and your family can play games, have laughs by a fire or just relax & unwind. If you are looking for a place to make new family memories this is it!